We are very please to announce that we are starting “open beta test” of Bittcoin acceptance. In the coming days, next to current payment methods – PayPal, Credit/Debit cards and PayPro we will also accept payments made in bitcoins. We would very much like to ask for your patience on the matter. As this is beta stage of integrating bitcoins payments with our systems small glitches are to be expected. If all will go smooth and you, our customers will use this kind of payments, bitcoins will stay with us for longer. VPN and bitcoins – perfect match! Bitcoin is a peer-to-peerpayment system and digital currency introduced as open source software in 2009 by pseudonymous developer Satoshi Nakamoto. It is a cryptocurrency, so-called because it uses cryptography to control the creation and transfer of money. Conventionally, “Bitcoin” capitalized refers to the technology and network whereas lowercase “bitcoins” refers to the currency itself. 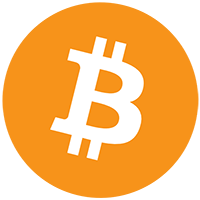 In short, bitcoins allow for anonymous payments for goods and services in the internet. Combine this with anonymous VPN and you are perfectly invisible in the Internet, doing you normal everyday tasks. Of course you are also welcome to pay with bitcoins for our proxy Smart DNS service (recommended for online TV and video streaming). If you have any questions in regard of new payment system or run into any kind of problem – please, start new ticket with our support. Remember that our Terms of Service are still in place.